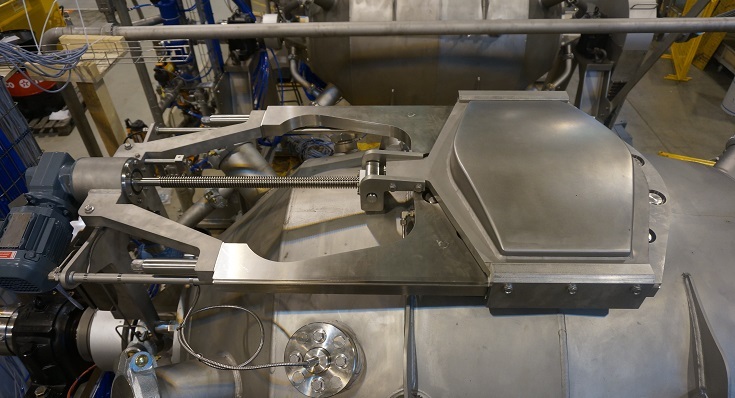 A redesigned slide valve is available as a fully integrated retrofit unit to Baker Perkins’ Cook Master™ cereal cookers, and as an upgrade to third party cookers where possible. 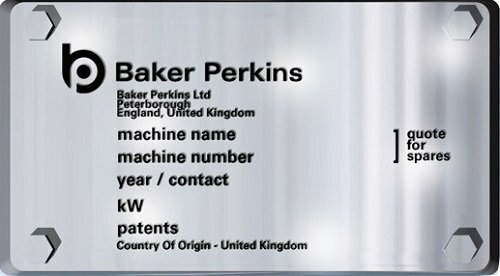 The upgraded valve combines a revised technical design with Baker Perkins’ advanced hygiene standards and the latest good manufacturing processes (GMP). The number of areas where it is possible for product to settle or build up on the slide valve have been minimized to improve ease of clean down. 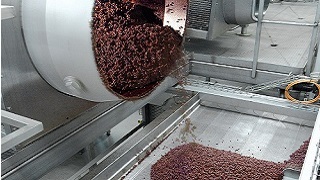 Improved operator access to all product contact areas allows an easier allergen clean to be achieved. In compliance with GMP, product contact materials are food safe, and the seal is manufactured from metal detectable food grade material. 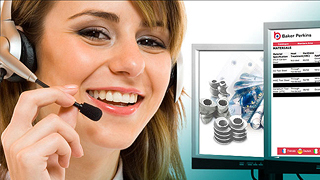 Easy access to components and simple replacement of consumables reduce maintenance time. 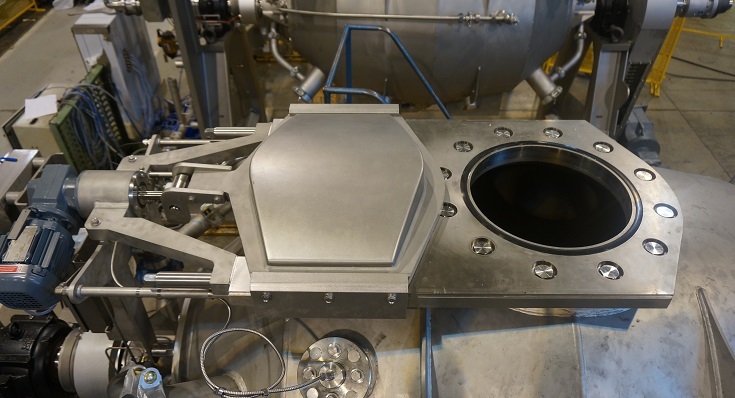 A single machine operator can carry out a seal change on the main chamber lid within 15 minutes, without tooling and without the need for a full strip down of the slide valve unit. The valve has a failsafe design and controls; seal pressure is maintained if electricity or air pressure is lost, and the cooker has a controlled depressurisation program if services continue to be disrupted. Proximity sensors are directly mounted on the valve for accurate open and close feedback, avoiding false signal errors. For advanced pressure monitoring and control, an optional on-vessel pressure transducer can be specified to display the cooking chamber actual pressure in real time.